From 20-22 April, we will be holding our Church Weekend Away in Cefn Lea, Dolfor, Wales. The weekend will give us time to think about the future of the church together. There will be chance to talk with others, hear, pray and contribute. It feels like we are at another turning point in our life together – the weekend gives us a chance to hear from God for our life together. If you haven’t paid yet – please do so as soon as possible. If you are struggling to pay, please talk to Jo, Ian, Natalie or Neil about it. We can help. If you are not coming – there will be NO service that Sunday. We have a small group that meets fortnightly on a Wednesday evening, led by Glynn and Alex at their home. A new group will hopefully start in May, which will be led by Julian and Clare at their home in Swinton. This group will be a study group that offers series teaching, and an opportunity to unpack and explore an some of the themes from the Sunday sermons. Spaces will be limited to 8, so if this is something that you would find helpful then please let Natalie know. On Sunday 20 May, after the morning service, there will be a lunch in The Vine, 327 Bolton Road for any who are new to the church. It is a chance to get to understand our history a bit, meet some other folks in your situation, and ask any questions you might have. It’ll all be over by 2pm. Can you let Natalie or Ian know if you are planning to come. Baptism is a crucial moment for followers of Jesus. It’s the declaration that we have died to our old life and are living this new life with Jesus. We are planning to have a baptism during the morning service on Sunday 17 June. If you haven’t been baptised yet, but you know that this is the next step for you, then please let Natalie know. 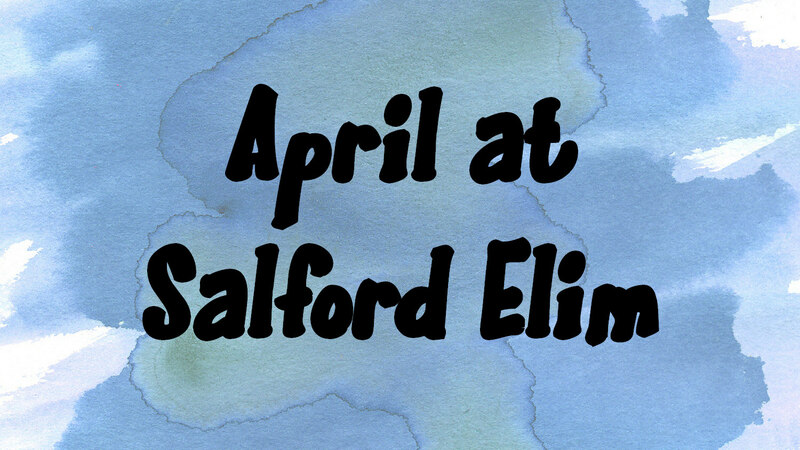 We’ve started the year with a range of pop songs, from The Beatles to Elbow, and will be singing again on Thursday the 12th and Thursday the 26th of April at 8pm. Come and join us – everyone is welcome. Do you play an instrument or sing? Would you like to be considered for joining the church worship band? If so, let Ian know as he’s planning on organising a Saturday afternoon jam on May the 12th if there’s enough interest. We will use all the seats in the new layout which gave us more capacity. We will begin to encourage groups of people to develop mission work in different places once a month. We will begin to talk about this at the weekend away and then give lots of other opportunities to think together over the next few months. This will mean that once a month some people will be elsewhere. But more importantly, it will increase our mission as a church. And if (and it will be great if this happens) we continue to grow to capacity and beyond, then we will let the children to their activities earlier since this is often the ‘logjam’ time. Please pray that we will continue to grow and that we will continue to find creative ways of responding to the situations we find ourselves in. From 29 April we will begin a longer sermon series based in the Book of Acts. Someone has said: ‘Christians are intentionally made by adventurous churches.’ We want to be such a church. The hope lying behind the series is that by looking at the stories of the earliest churches, we will grow in our confidence in God’s ability to help us become increasingly open to all that the Spirit will do among us; that we will prepare ourselves for growth by multiplication not just by addition; that we will all grow in our ability not only to live as disciples, but to become disciple-makers. There are a couple of books that we are suggesting will be helpful if you want to read alongside the series. Both are written by Tom Wright. There are two volumes of his small commentary on Acts called ‘Acts for Everyone’ and there is also his new, extremely good biography of the apostle Paul, simply called ‘Paul’. We recommend these to you. You can get Kindle versions but if you prefer a print copy then Julian can order them. If you don’t know Julian, now’s a good time to introduce yourself! Or talk to Neil and he will pass on the message.